• Decrease in tourism potential. effort between the Malaysian and Danish governments. In the common wastewater treatment system, wastewater from buildings and houses is collected via a common sewerage line, see Annex E. Two types of the system are applied in Sabah: Common collection and treatment. The collected wastewater will be channelled into a WWTP. The WWTP used in Sabah to treat the wastewater from the common wastewater system are simple oxidation ponds. Oxidation ponds have been used because these ponds accommodate a high number of populations, normally more than 5,000, adopts a simple biological treatment system that requires minimum maintenance, and are cheap to construct compared to other WWTP systems. An illustration of the oxidation pond system can be seen in Annex E. The larger cities in Sabah like Kota Kinabalu, Sandakan, Lahad Datu and Keningau use the common wastewater collection and treatment system for their town centre and main residential areas. In Tawau, the common wastewater collection and treatment system covers only part of the western urban areas. Collection only. The collected wastewater is channelled directly into rivers and seas. Papar, Semporna, Kudat, Tawau town centre and part of Sandakan are utilising this system for their downtown areas. For individual wastewater treatment system. Some housing estates that are not connected to the common wastewater treatment system or common sewer lines have constructed their own WWTP that collects and treats wastewater within the housing estates. The individual WWTPs used in Sabah undertake a mechanical treatment of the wastewater. In Sabah the most commonly used individual WWTP system used is Extended Aeration, but also systems such as the Bio-Filters, Rotating Biological Contractor (RBC), Oxidation Ditch and Imhoff tanks are used, see Annex E.
Individual WWTPs for housing estates and apartments/condominium blocks are constructed by the developers. Individual WWTPs for housing estates shall ½-1 year after construction be handed over to and maintained by the respective Local Authorities. Most apartment and condominium block developments, however, have their own Management Corporation to manage the collection and treatment of wastewater. Sludge is the solids that settle at the bottom of septic tanks or treatment ponds. Sludge can be dried by pressing, sunning or burning and can then be processed into manure. However, these processes are not carried out in Sabah due to the absence of sludge treatment plants. 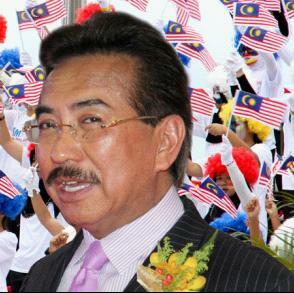 There is no master wastewater treatment plan for Sabah. There are, however, various regional studies, such as the comprehensive development plan for Kota Kinabalu (includes Penampang), Sandakan and Tawau. These plans, which include planning for sewerage, was prepared by consultants for the State Ministry of Town and Country Development in the early 1980s. Although the plans were meant to be statutory plans, they have, due to financial constraints and political priorities, not been fully implemented. Local plans, also statutory, amplify the policies and proposals of the comprehensive development plans affecting its area and identify the designated use of each land parcel and all factors influencing the parcel’s development. The Town and Regional Planning Department are also preparing local plans for districts that do not have a comprehensive development plan such as Papar, Kudat, Kota Marudu, Tuaran, Ranau and Beluran. 26 local plans have been prepared statewide with 10 being approved by the local authorities and 16 still in draft form. Although sewerage lines are not clearly indicated, local plans include the positions and dimensions of sewage lagoons reserves. Before development of individual housing estates or apartments can commence, a permit in the form of an approved development plan has to be issued by the local authorities. The development plan will include requirement for treatment and discharge of wastewater. The local authorities are responsible for financing construction of common wastewater treatment systems and for operation and maintenance of individual wastewater treatment systems. The local authorities have two main sources of funds; one from the State budget and the other through collection of rates. Since local authorities are under the State Ministry of Local Government and Housing (MLGH), MLGH can allocate budget to local authorities from the State budget. However, for DBKK, since it is under the supervision of the Chief Minister of Sabah, its budget comes from the State Budget through the Chief Ministers Department. The Gazetting Rating Order states that between 2% and 7% of the collectable rates should be allocated towards sewerage treatment services. In districts where JKR constructs, operates and maintain the common wastewater treatment system, JKR can allocate funds via the Federal Budget. However, these funds cannot officially be used for operation and maintenance, since it is Federal policy that WWTP is a privatised area, thus not eligible for Federal funding. Construction of the individual wastewater treatment systems are financed by the developers, while budgets for operation and maintenance of these come from the local authorities. Construction, operation and maintenance of the individual septic tank are financed by the individual land owners. The state government must give serious attention to the wastewater treatment facilities in Sabah. Without a good waste water treatment system, it could cause pollution problems as well as a host of other negative issues. Water is a finite resource, and must be protected.